Upset training of any kind is valuable, but for jet pilots, experiencing the dynamics of out-of-control flight at high altitude can be a life-saving education. After spending time ingraining a disciplined and strategic application of upset prevention and recovery training (UPRT) techniques in an Aviation Performance Solutions (APS) Extra 300L single-engine piston aerobatic airplane, pilots might want to consider sticking around for a jet enhancement program to learn how to handle upsets at high altitudes. APS currently offers high-altitude jet UPRT in its Siai Marchetti S211 single-engine jet trainers, one of which was on the static display at last month’s NBAA Convention. I was recently invited to sample the half-day S211 UPRT session at APS’s headquarters in Mesa, Arizona. APS also has facilities in Arlington, Texas, and Breda International Airport in the Netherlands, and the in-aircraft high-altitude UPRT is available in Texas and at customer request. APS also offers low-altitude programs integrating the S211 with the Extra 300L program, with many customers taking the entire three-day course in the S211 exclusively. 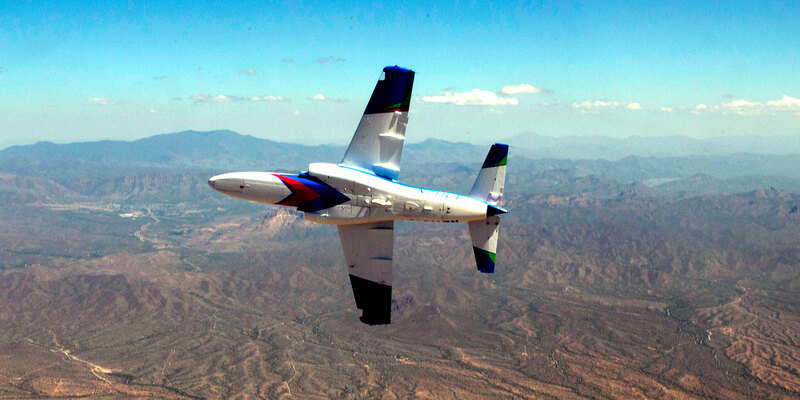 However, for human factors reasons and repetition to proficiency, Ransbury recommends that initial UPRT is best accomplished by using both training airplanes, with at least two flights in the Extra 300L. The high-altitude training course begins with a ground session on high-altitude jet operations, then for pilots who haven’t flown the S211 yet in the program, a differences briefing and a preflight discussion are provided to cover the training plan and profiles to be flown.